At the heart of all modern business communications lies email. No longer limited to sending messages back and forth, modern business email systems are expected to coordinate teams through contact and calendar sharing and by tracking projects and assigned tasks. With business email services expected to do so much, it is important that you select the right fit for your needs. 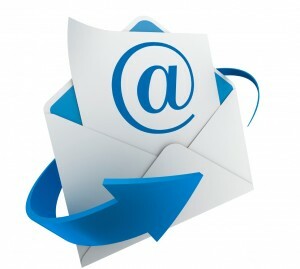 To help you do that, here are four considerations when choosing your business email service. A business email service must do more than simply play postman for digital letters. Modern email services need to allow teams to collaborate at a higher level. Look for a rich feature set that allows your teams to share contacts and calendars easily. Task tracking and project notes are features that can allow teams to accomplish more within a single application. Remember that too much of anything can be bad for you. Avoid services that try to accomplish too much. The excess features inevitably slow the service down and make it more difficult to use. Your business email service should be a tool to improve communication. If it’s too convoluted, no one will use it. Costs must be considered in every business decision, not just in selecting a business email service. As in most cases, the best email services are not going to come for free, but that doesn’t mean that a higher cost means a better service. Email services are not immune from brand influence. The more well-known technology companies often come with the steepest price tags while offering no significant advantage over more competitively priced services. In addition, make sure you aren’t paying for the aforementioned excess features that hurt you in the end. Calling tech support and reaching someone who knows barely enough English to read from a script has become a cliché in modern media. But clichés are clichés for a reason. The reality is large companies almost universally outsource their base tech support to overseas call centers, reserving their US-based centers for their largest customers. But just because you aren’t large does not mean you have to settle for difficult tech support calls. Local business email providers offer in-house tech support, meaning you get to talk to someone within your own state. Local providers often offer on-site support as well, something you won’t see from the larger providers. Cloud computing is all the rage, and for good reason. Using the cloud for data storage and processing can greatly improve speed for users. The cloud is designed to store your data behind a veil, or cloud, of anonymity that not even you can pierce. But that begs the question, how can you really be sure your data is safe if even you don’t know where it is? Local business email service providers offer the unique situation of cloud computing with a known address. By going with a local provider, you can ensure the physical security of your data matches the digital security offered by the cloud. The feature set of a business email service should provide everything you need while avoiding unnecessary bloat. While top names command top pricing, there are many lower-cost services that have matching, or even better, feature sets. Local providers easily win on support and security due to their proximity to your business. Keep these considerations in mind as you select your business email service and you can’t go wrong.